Passive income is the income that you earn without being involved directly in generating those earnings. More often than not, it comes from sources in which you have invested money. There are innumerable ways to earn passive income, but the most common ones are mentioned below. Investing in real estate properties and then renting them out is one of the best and most commonly used methods of earning passive income. Depending on the money you have set aside for investing, you can then rent out an apartment, a commercial building or a condominium. You are obviously responsible for its proper maintenance and care taking. Investing in real estate involves blocking huge sums of money, but they generate handsome passive income. Another common method of generating passive income is by placing your excess funds in time deposits. The higher the period that you invest for, the better will be the passive income generated. There are several schemes available for investing in time schemes. One basic rule that all schemes follow is that if you leave your investments untouched for the stipulated period, and do not withdraw the profits generated by interests, your earnings at the end of the term can be huge. 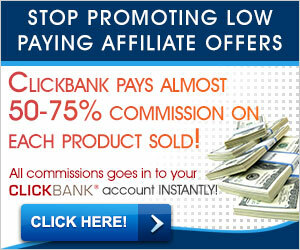 A great and a completely safe way of earning passive income. Treasury Bonds and Treasury Bills are another safe and time-tested way of earning passive income. Investment in such financial instruments is always for long periods and you earn attractive interest on your invested amount. The interest is accumulated right up to their maturity dates. Government bonds are virtually risk-free, so you hardly run any risk of losing money when you invest in them, even for long terms. Investing in stock markets can gain you attractive returns and regular passive income. It should be noted that investing in stock markets is different from trading in stock markets. Income from stock trading cannot be termed as passive income. Here the process involves staying invested for the long term in companies of impeccable standing. Not only can you gain from the increase in stock prices, but the companies also pay dividends from time to time, which can add to your passive income. For those who do not like to place their hard-earned money in the highly risky and volatile stock market, there are options available in the form of mutual funds or trust funds. Mutual funds are low-risk investment vehicles where your funds are spread over many investment avenues. You can stay invested for short and long terms. Minimum investment amounts are very low and you can keep adding to your investment funds anytime you want to. Passive income can also be generated by investing in business as a passive partner. Small business houses do not generally get loan approvals from banks. They borrow money from private parties by making them shareholders and partners, paying them a percentage from the profits. While there is an element of risk involved in investing in such companies (they can run into losses and your investment can disappear if the company folds), investing in a venture that is already making profits can help overcome the risk factor.